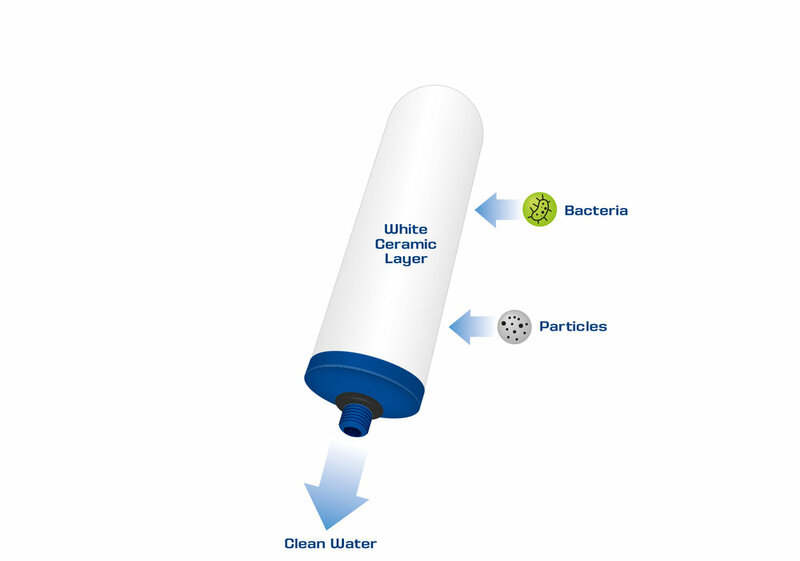 The Coldstream Sentry water filter is made using our unique, specially formulated ceramic material, giving maximum protection against waterborne bacteria and removing particles and microplastics from your water. The filtering process allows the essential salts and electrolytes through, leaving great tasting water that’s healthy and safe, straight from your tap. CF115W / Candle / 9.5" 2.1"
CF168W / Candle / 9.1" 2.9"
CF103W / Cartridge / 10" 2.75"
Bacteria 99.9999% removal of bacteria and cysts* like E. coli, Shigella, Cryptosporidium and Giardia. *For further information on cysts, see performance data sheet. The Coldstream Sentry provides protection against waterborne bacteria, removing microplastics and particles whilst still allowing the essential salts and electrolytes to remain.